I've been living in dark colors recently (not that I'm complaining), but I just couldn't pass up this spring-like sweater. I'm such a sucker for the neon/neutral combo, and the stripes basically sealed the deal. As I put it on, I wondered if you guys would think I had my seasons mixed up, seeing as it definitely indicates that warmer, not colder, weather is on its way. But it was a mild day, so I gave in...and even swapped out my boots for pumps. 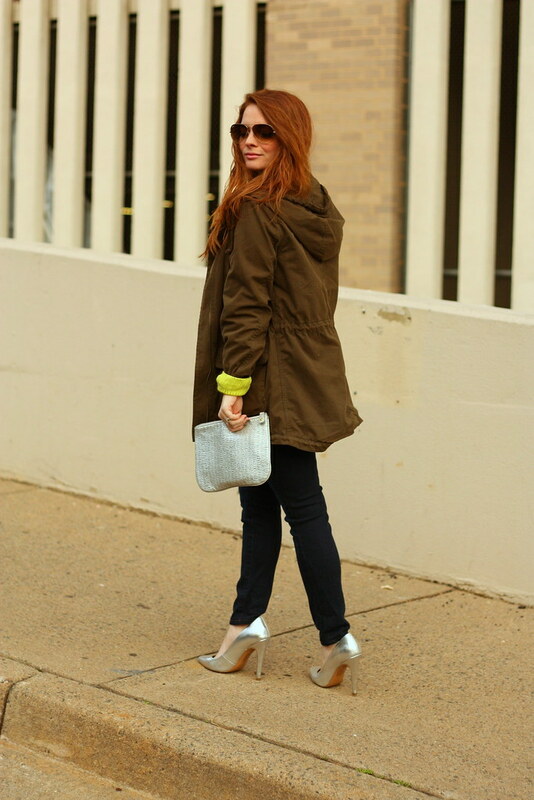 To make it a bit more fall, I added my favorite olive military jacket. 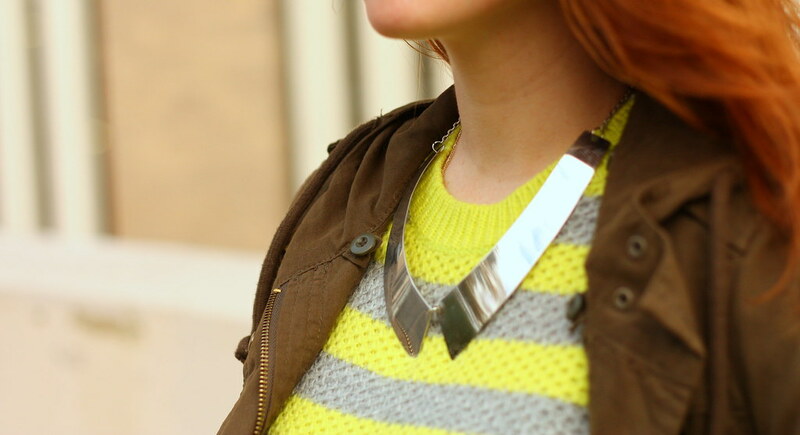 Do you like rocking neon in the fall? How would you wear it? I know neon is supposed to be on its way out, but I'll never give it up completely! I live in black, gray, and navy so it's refreshing from time to time to throw on something bright and be cheery for a quick second. Then it's back to all-black! Love the neon and metallics! Such a great look! Love the neon on you! 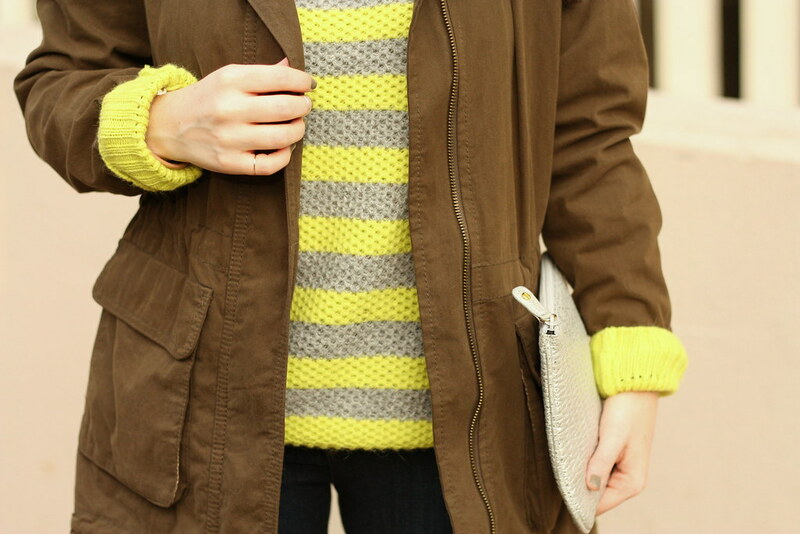 It's a great chunky knit for the fall. Great style. Like that sweater.